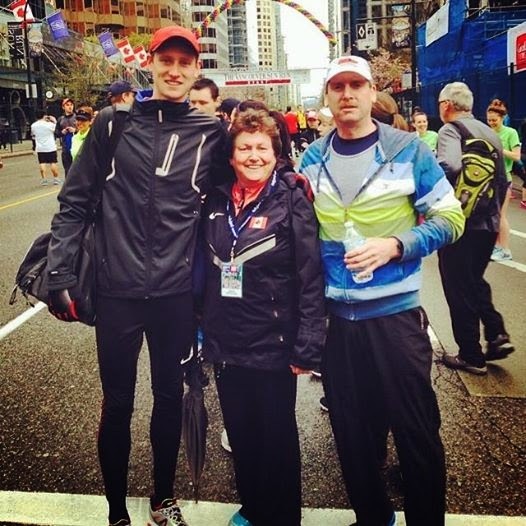 Father and son duo Lloyd and Ryan Brockerville competed in the Vancouver Sun Run last weekend. Ryan placed 11th overall and 2nd out of 1737 finishers in the 19-24 age group in 30:59. Lloyd placed 461th overall and 19th of 1466 finishers in the 50-54 group with a 41:01 time. This is a HUGE race with 43,142 finishers.